The internet has not only changed how we shop and how we manage our money, but it’s also changed how we work. According to a Gallup survey, more than 43% of Americans spend some of their time working remotely. Remote work is said to increase productivity and flexibility which leads to happier employees. If you’ve been placed in charge of managing a remote team, your core skills of managing people and projects will still stand true. However, there are some tips you’ll want to follow to ensure the team is a success. Keep reading to learn about 5 tips for managing a remote team. Even though daily face-to-face communication isn’t always possible with remote working, this doesn’t mean that communication between you and the team should fall to the wayside. The biggest hurdle for many remote teams is a lack of communication. Often times team members don’t know who is working on what, or even who is who. In order for a team to feel like a team, regular communication is a must. With these various lines of communication, team members have multiple ways to reach out for support and to get answers for their questions from you and other team members. These avenues also allow you to share important team information such as project statuses, tasking, and more. With remote work, team members don’t have the option of stopping by someone’s desk for help editing a document or for any real-time collaboration. To overcome these obstacles, you’ll want to offer tools that enable collaboration. One of the most important tools to use is screen sharing software, which enables someone else to see what you’re doing on your computer. This is beneficial for collaborating on a document or task, real-time editing, and even troubleshooting. Other must use tools include a project management system, video conferencing, and cloud-based document storage. Each of these tools minimizes the issues that most remote teams face because of distance. One of the biggest drawbacks is working remotely is missing the feeling of a company’s culture. When your workers are spread throughout the world and you’re relying on words alone, it’s much harder to create and maintain the company’s culture. To create the team and family feeling that all employees want to have, take the time to find non-text ways to inspire employees. Create company videos or host quarterly town halls. These are a great way to reinforce concepts that are core to the company. These events also make remote teams feel more like a team. 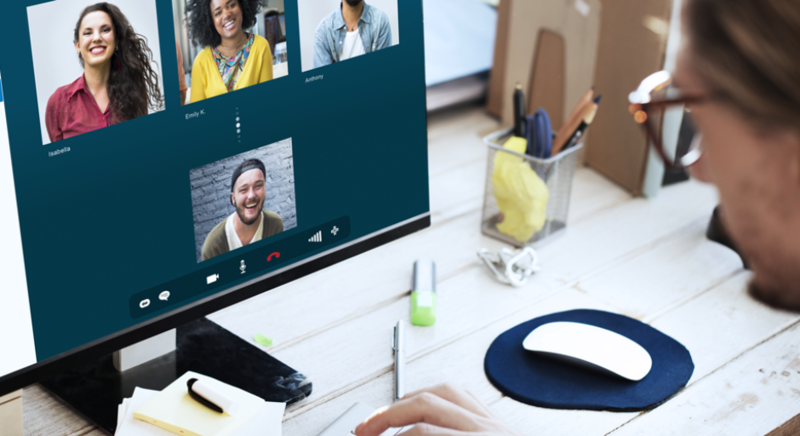 With these options, members on a remote team will feel the closeness and support that all team members want to have when at work. All businesses and teams need systems and processes in place, otherwise, the business can quickly start to crumble. Systems and processes are especially needed for remote teams since you can’t stop by an employee’s desk to see what they’re doing or talk to them in person about their tasking. With remote teams, you want each member to have set processes and procedures to follow. Otherwise, everyone will have their own system, which may or may not mesh well with how others are working. Take the time to create and document systems for logging work, project management, time management, collaborating, communicating, and more. This way each remote worker has a clear process to follow. Employees enjoy remote work because it’s flexible and convenient. With remote work core, hours are typically much laxer and there’s no need to fight traffic to get to your desk at a set time. Because the remote work environment is flexible, you’ll need to follow suit. As the manager of a remote team, flexibility is a must, especially when it comes in regards to work schedules and task timelines. Remember, not only are your remote employees possibly spread around the world, but they’re also spread across various time zones. While one employee is getting ready to end their day, another may be just waking up to start theirs. Be realistic when tasking employees and setting project deadlines. Otherwise, you’ll find that the remote work environment quickly becomes overly stressful. Managing a remote team has its challenges, many of which are far beyond your control. However, by using these 5 tips, you can best manage your team members, no matter where they reside in the world.